Category: Announcements, For the Kids, Thank you! 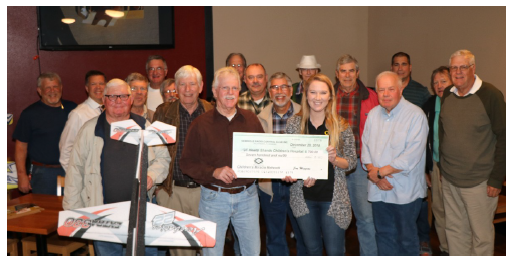 The Seminole Radio Control Club ended 2018 by designating their annual “Believe in a Cure” event gift to CMN Hospitals at UF Health Shands Children’s Hospital. Here, club members present Kristy Potter, development coordinator, with a ceremonial check for $700. Thank you to the Seminole RC Club for helping the kids! Get stories like these delivered to your inbox every month.